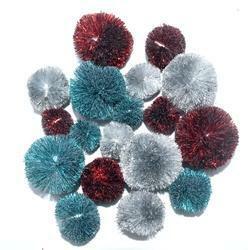 We are leading and reliable manufacturer and exporters of all types of Pom Poms in all available materials which give appealing look to the bags, garments, scarves, key chains, cushions, apparels and any other fashion related products and accessories. These are available in various color, shape options as well as feature exquisite patterns. 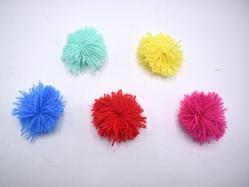 Variety of fine quality pom poms are available in a rich range. Customization is our speciality and meeting customer needs is our priority. 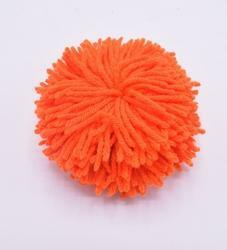 Pom pom available in various designs, sizes and colors. 3)High quality but low price. 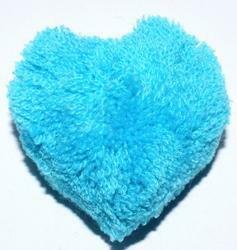 4)It can be used for garments,curtains, beddings, toys, bags, caps,...etc. 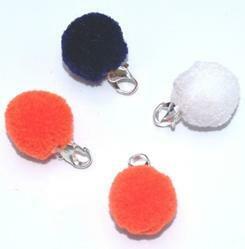 Size: Pom Pom 4"cms & Loop 11" Cms. 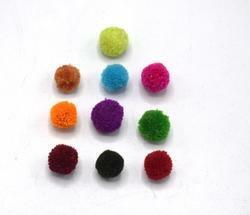 Beautiful Pom Pom Used In Garments, Home Furnishing, Curtain, Cushions, Craft Etc. Packaging Details: APPROX 25 DAYS M.O.Q STANDARD PACKAGE ACCORDING TO CUSTOMER'S REQUEST. 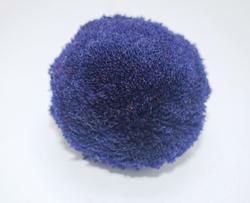 Size: Pom Pom 5 Cms & Cord 4"
Used In Curtain, Cushions, Bags, Craft And Any Where You Like To Use. We Can Make Any Size, Colour, Design As Per Customer's Requirements. Size 2"cms & Loop 4.5" Cms. 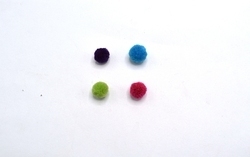 * Size: Pom Pom 2"cms & Loop 4.5" Cms. *different Colours And Styles Are Available. * Used In Garments,hom Furnishing, Craft Etc. Packaging Details: 15 DAYS FOR M.O.Q STANDARD PACKAGE ACCORDING TO CUSTOMER'S REQUEST. 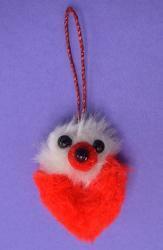 Size: Pm Pom 5 Cms & Cord 4"
Used In Curtain, Bags, Cushions, Craft Projects And Any Where You Like To Use. Used In Bags, curtains, cushions, craft Projects, and Any Where You Like To Use. We Can Make In Any Size, design, colour You Required. 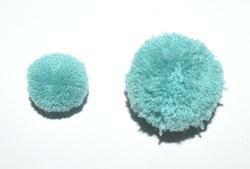 *Size:Pom Pom 3cms. & Loop 9cms. 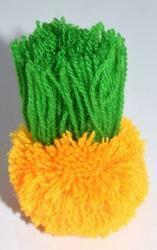 *Pom Pom Tassel in many and any size as per buyers requirements in any color combination. 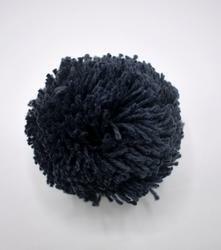 Size 5 Cms & Cord 4"
Used In Cushions, curtain, craft Projects, bags And Any Where You Like To Use. We Can Make Any Size, colour, design You Required. 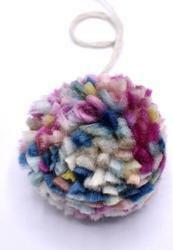 Used In Curtains,cushions,bags,craft Projects And Any Where You Like To Use. Competitive Price And Best Quality We Make. 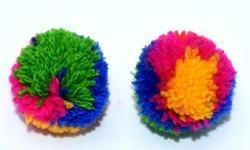 * Size: Poom Pom 5 Cms & Cord 4"
* Used In Bags,cushions,curtain,craft Projects And Any Where You Like To Use. * We Can Make Any Size,colour,design You Required. 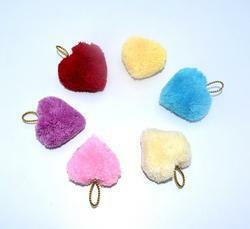 Any color & size we can make. 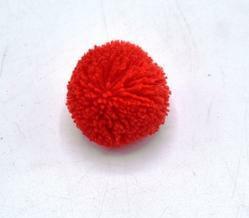 Beautiful pom pom can be used for multipurpose. 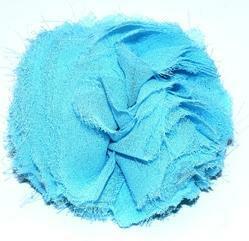 Used In Bags, Curtain, Cushions, Textiles, Home Furnishing And Any Where You Like To Use. We Can Make Any Design,size And Colour You Want. 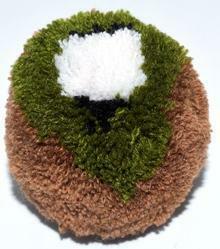 Used In Bags, Cushions, Curtain, Home textiles, Craft Projects And Any Where You Like To Use. Used In Curtains,bags,cushions,craft Projects,home Furnishing And Any Where You Like To Use. we are leading manufacturers & exporters of a mesmerizing array of home furnishings, garment accessories & fashion accessories which are widely used as an embellishment to garments, home furnishings and allied products. Our product range includes all types of tassels, fringes, beaded & sequins trims and cords made for cushion covers, curtains, garments, etc. with the use of all different raw materials like viscose rayon, glass beads, polyester, chenille, cotton, metallic yarn and other fancy yarns. 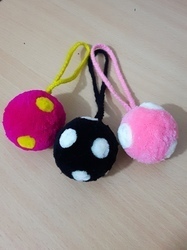 We have also added napkin rings, rayon/string curtains and fancy buttons made of yarn/thread and beads to our product range. 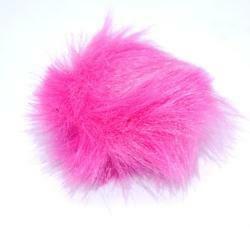 Size :25 pom pom in meter. 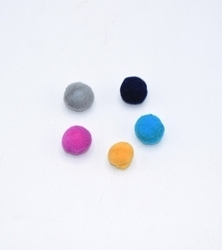 Looking for Pom Poms ?